This past Sunday was the first time that the children and I have ever gone to see a live performance of The Nutcracker! What fun it was! We were able to go with a family from our church and upon arrival, the little ones were each given their own nutcracker by my friend. This thrilled the children, as you can imagine! The performance was quite good. We were able to see a local ballet studio perform the majority of the ballet and they brought in two women and one man from the state's ballet company to do some of the dancing. When we got home, I dug out my copy of A Very Young Dancer for the little ones to look through. It has been paged through dozens of times by Sugar Plum and Little Man already this week! The children have also been inspired to dance a lot (we just find some of the music on YouTube and they hop, skip, and jump around quite happily!). I've also been revisiting our Nutcracker Learning Basket and just found out this morning that the winter edition of Rhythm of the Home has a free Sparkle Story called Living Room Nutcracker! We'll listen to that this afternoon. What seasonal joys are you experiencing? There's something magical about this story that captures children's hearts, and doesn't let go. 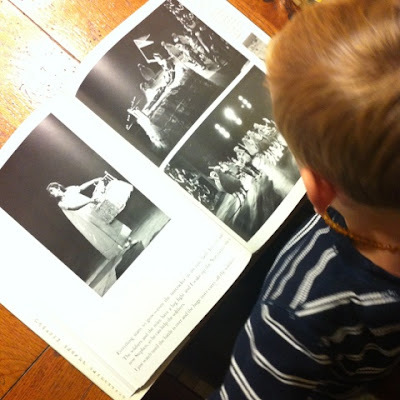 My oldest daughter saw a video of a Nutcracker performance at the age of two, and it was not long before she memorized how the story fit the music and began performing it. Every year since then -- more than 10!! -- we've had Nutcracker performances. Every year they get better. Over the years, our Nutcracker fascination has resulted in gifts of a CD of the music, sheet music for the piano, various Nutcrackers from tiny Christmas ornaments to fifteen inch toys, a variety of Nutcracker books, and -- new this year -- a special cupcake set with Nutcracker, Mouse King, Clara and Sugarplum fairy decorations. It would be nice if the story had more to do with the essence of Christmas, but there it is, it's still fascinating even if it is more glitter than gold. 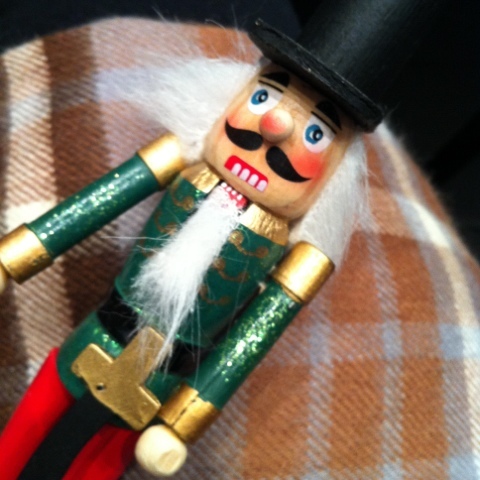 We are going to The Nutcracker next week. A few years ago, I took oldest DS to watch rehearsals with my former company, so I can't wait for the kids to see the ballet in its entirety! i am with priest's wife. 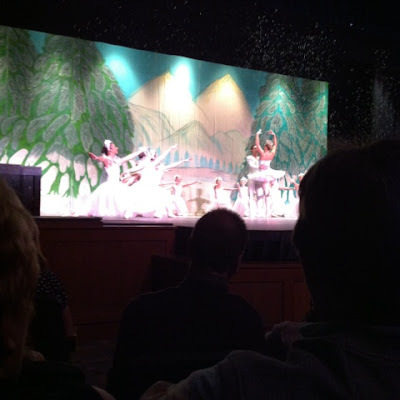 my daughter's were in the Nutcracker for a few years, and this is our second year without it ... and we miss it so (i was always so thankful it was performed the first weekend of December). 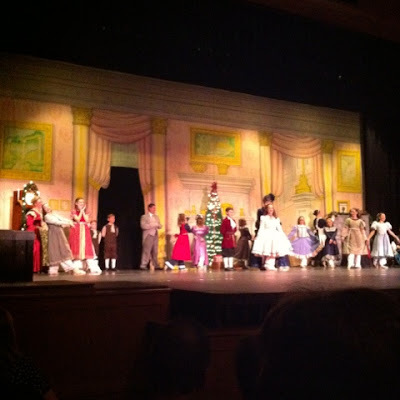 we are in a new state this Christmas season, so we didn't know about a local performance until too late. hope you had a wonderful time!